Chamaecyparis thyoides is a to 25 m, slender evergreen tree. 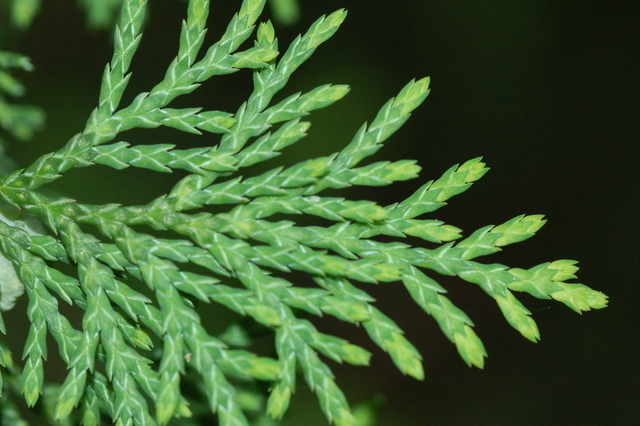 Chamaecyparis thyoides, (Atlantic white cedar) leaves. © Copyright Cody Parmer 2010. discoverlife.org (Accessed 12/2017). Leaves scale-like to 0.4 cm, tightly overlapping along thin twigs, ca 0.1 cm wide, persistent, enlarging on older branches, aromatic, interior leaves and twigs eventually dying. 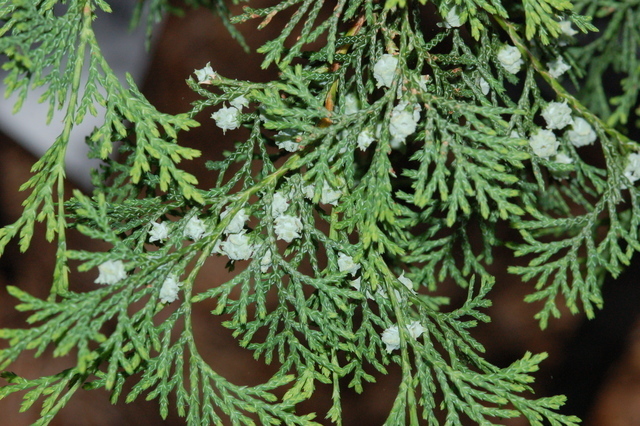 Chamaecyparis thyoides,(Atlantic white cedar) leaves and cones. © Copyright Cody Parmer 2010 · 1. discoverlife.org (Accessed 12/2017). Flowers, Fruit none. Cones to 1 cm, angular, at first berry-like, blue-green, scales about 6, becoming brown, opening to disperse small, winged seeds from Oct. through winter. 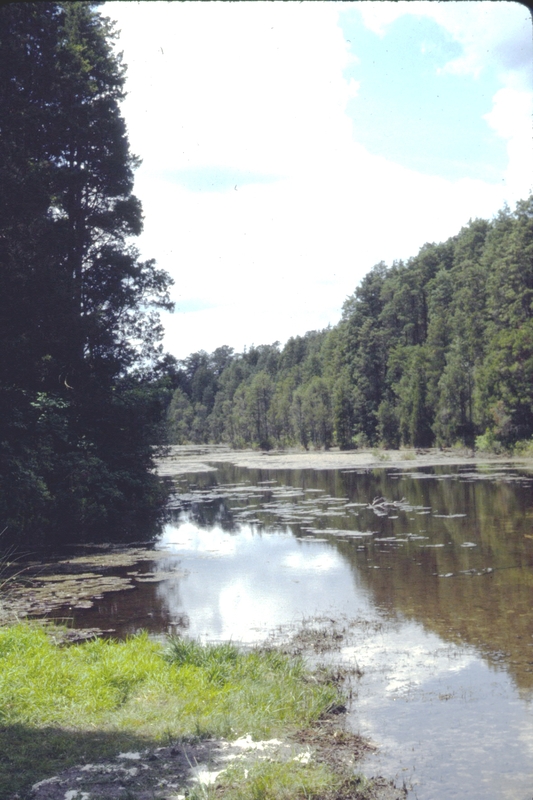 Habitat: Normally grows in acid bogs, pH 3.5-5.5. It is unlikely to reproduce in NYC under present high pH, high nutrient environmental conditions. Requires high light for germination and as a seedling, older trees supposedly of intermediate shade tolerance (Burns and Honkala 1990).